There are many approaches our teachers use to personalize the learning experience for students. One way is by giving students different ways to demonstrate their learning. Edwin Bryson, Greenwood's Vice-Principal of Teacher and Staff Development, shares an example from his Grade 10 Introduction to Business class, in which differentiated assessments were used to personalize for student readiness, interest and learning profile. I began by identifying what each student should know, understand and be able to do as a result of a particular chunk of learning. In this case, students needed to "demonstrate financial planning skills and produce a...personal financial plan (e.g. monthly plan, budget)." Create a board game that illustrates income, expenses and savings, etc. The goal is to determine financial planning skills, but the teacher has the flexibility to create more than one type of assessment for this skill. The student understands the relationship between types of income, fixed and flexible expenses. The student demonstrates the use of planning skills (gathering information, organizing a budget/project). The student uses critical/creative thinking processes (evaluation of spending and saving goals, actual versus planned budgeting). The student makes connections between the financial planning process and future career and life goals. The fourth step was to select a few assessments that would meet the different levels of student readiness, interests and learning profile. Complete a monthly budget using a template: This option would suit students who are still gaining confidence with financial planning, liked working individually and benefited from concrete and sequential tasks rather than abstract and non-sequential tasks. Work in pairs and create a board game: The game should demonstrate the key concepts of income, personal income tax, expenses, savings and investment. This option would suit students who had attained a conceptual understanding of financial planning, liked working collaboratively and enjoyed abstract and non-sequential thinking. Create a role-playing game: This option was created by a few students who wanted to modify the board game assessment to create a role-playing game. Since the rubric focused on learning outcomes, rather product specifications, it was very easy to accommodate this request. Below is a summary of the differentiation found in each assessment. Create a board game Strong conceptual understanding Wants to expand and extend their learning of this topic Is stimulated by creative challenges and conceptual thinking. Prefers working with peers. Create a role-playing game Strong conceptual understanding Wants to expand and extend their learning of this topic Is stimulated by open-ended challenges and enjoys abstract thinking. Prefers working with peers. Regardless of which assignment was chosen, students were engaged in an authentic learning experience and making meaning by linking the concepts to their own lives. Each assignment allowed students to reach the top level of achievement and provided different approaches to suit their learning styles. The end result was increased engagement and more accurate evaluation of each student's progress toward meeting the course's learning goals. Note: Many of the concepts discussed here are borrowed from one of the foremost authors on the subject, Carol Ann Tomlinson, in her book How to Differentiate Instruction in Mixed-Ability Classrooms (2nd Edition). Anthony Costa, Subject Team Leader for Health and Physical Education at Greenwood, explores how practical skill acquisition is one method for helping students to develop life-long transferable skills that support an active, healthy lifestyle. Healthy active living is a life-long endeavour and the improvement of one’s own healthy practices requires continuous pruning. Whether it is keeping current about nutrition, improving personal fitness techniques, learning how to be aware of mental health issues, or acquiring new skills, Health and Physical Education is continually evolving. 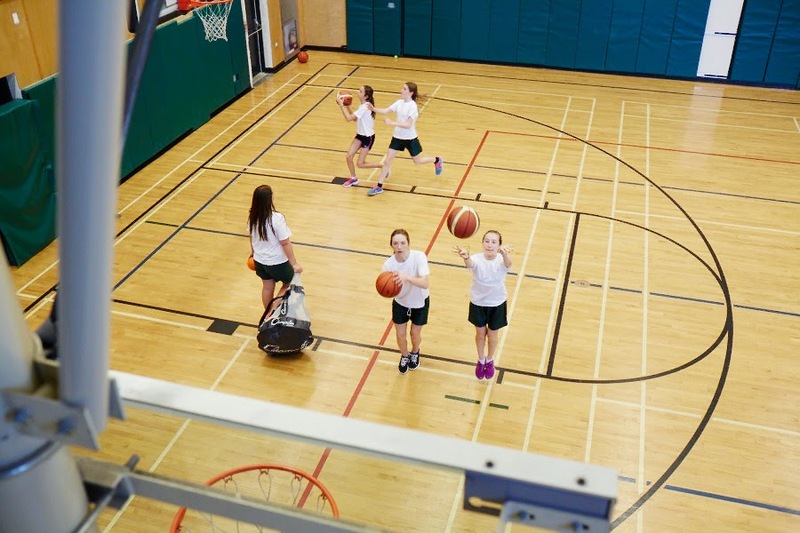 One way that the Health and Physical Education team at Greenwood College School is working to have students continually challenge themselves is through improvement of Physical Literacy. This video gives a brief explanation of why physical literacy is so important. We endeavour to work on this in many ways at Greenwood. However, I would like to highlight one example for now: on-going skill acquisition. Teachers create an on-going skills continuum across various grades and ability levels and in each sport or activity, in order to ensure continuous challenge and growth for students. This continuum also allows teachers to use professional judgement and have students practice a skill set based on readiness. For example, currently in soccer activity units, students can practice shooting, passing and dribbling skills, body control, and team movement patterns. The way that these are practiced can be effectively individualized, in order to have students indirectly practice and learn how to continually grow. The idea is to give students a constant challenge within their readiness zone in order to help them grow. Focusing on the skill acquisition of dribbling as a specific example, students with self identified “novice” skills can practice and develop the skill of moving the ball to various areas of the pitch while maintaining proper technique. If students consider themselves to be at an “intermediate” level they can work to improve dribbling skills with their non-dominant foot in order to acquire a more complete set of skills in the sport. 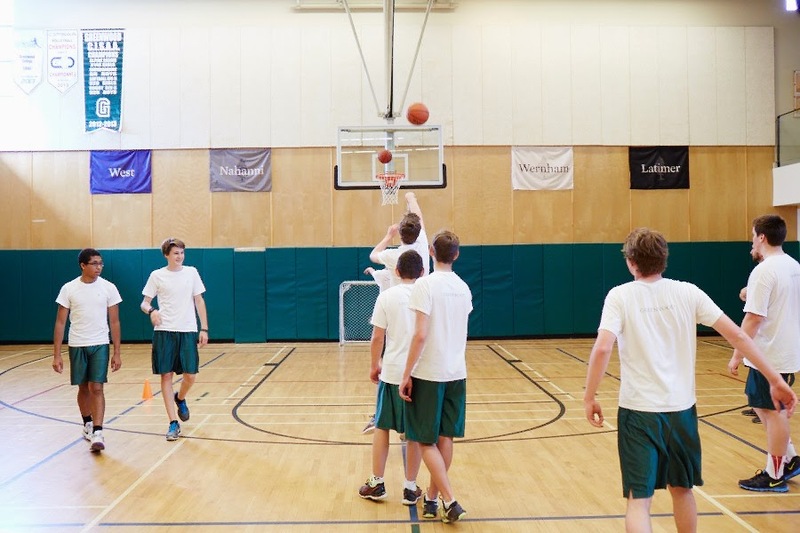 If students consider themselves at an advanced or “expert” level for the skill, they will have the opportunity to practice advanced techniques of dribbling such as the “crossover,” change of direction between the legs, different spin moves, dragging the ball and other creative techniques. Furthermore, if students are interested, they may access videos highlighting the extraordinary skills of the best players in the world and practice these elite skills to ensure continuous challenge. Once introduced, students utilize the skill on a daily basis in order to refine technique and increase their speed in mini game activities and modified game situations. If students can continually challenge themselves in a skill like dribbling, then they are developing a framework for how to improve upon other skills as well - not only physically, but also cognitively and academically. To improve requires basic knowledge, background and a mindset of growth. If students can experience a successful step-by-step process of improvement in physical literacy, they can potentially transfer the same mindset towards many other aspects of life. Perseverance through a set of math problems, determination through science labs, focus when working on French verb tenses and practice routines in the arts and music are just a few examples. It is the hope that these transferable skills create well rounded and capable young problem solvers. Through collaboration and the creation of on-going skill continua and unit plans, Health and Physical Education teachers at Greenwood can modify and adjust daily lesson plans to meet the needs of the varied ability levels of students with input from colleagues. After all, two heads are better than one! From “novice” to “expert,” teachers are working to ensure that all students will have the opportunity to improve upon their skills, and ultimately, develop a framework for practice in whatever aspect of life they choose to pursue with the most rigour. An overall goal of the Health and Physical Education curriculum is to have students become healthy and active people for life. By participating in these habits regularly in soccer, basketball, volleyball and other activities, Greenwood students can practice transferable skills and apply them to continual growth and improvement in their individual mental and physical health. Health and Physical Education equips students with valuable decision-making skills for a positive and healthy lifestyle. Skill acquisition is just one piece of the puzzle but it can be a very effective one. It is very easy to rationalize a personalized approach to learning. Given the choice between an educational program that is tailored to individual needs and a program that is the same for everybody, the choice seems obvious. The difficulty with the former lies in implementation. Personalized learning gives students more control and ownership over their learning but control can be very daunting for some students. To successfully transition into a personalized program it is essential that students possess the proper skills. It is the teacher’s role to help students develop these skills. The first is a technological element. In order to facilitate a flexible learning environment, technology is generally utilized, which requires students to have a certain skill set. The other essential element is a collection of personal skills that learners need to possess. For example, in order to thrive in a personalized learning environment, students need to be organized, self-motivated, good communicators and able to persevere. Fortunately, all of these skills can be developed with time and practice. One course that has been redeveloped at Greenwood with the goal of better preparing students for personalized learning is the Information and Communication Technology in Business Course, more commonly known as BTT. A large component of this course focuses on the development of important IT skills. Students are exposed to a variety of software and become skilled with word processing, spreadsheets, databases, presentation software, developing web pages and using search engines. With the strong IT skills developed in this course, any technological barriers preventing students from being successful in a personalized program are removed. Developing the personal skills to be successful in a student-centred program is a considerably more challenging task. In a traditional classroom where teachers control the pace and content, it is very easy for students to become passive learners. Passive learners are accustomed to being told what, how and when they need to learn. BTT, on the other hand, gives students complete control over their learning in an environment that is flexible and accommodating, and allows students to develop the necessary skills for a personalized program over time. Although BTT is a grade 9 course, at Greenwood, the course is generally started in grade 7 and completed by students over 2 years. By extending the program over 2 years, students have a lot of time to develop the required skills. This course is also available to new grade 9 students so that they can reach the same level as returning students, but in this case it is completed in 1 year. BTT is run as an independent course, with only extra help scheduled, and is integrated with other subjects. Integrating with other subjects allows students to complete assignments for BTT and other courses simultaneously. For example, one unit in BTT requires students to use software to create a presentation. Since the assessment for BTT is primarily skills-based, students can easily create a presentation with content for another class, ensure that the appropriate skills are demonstrated, and then submit the same assignment for BTT. The format of this course requires students to look ahead and determine the most appropriate assignments to complete, to organize their time, to coordinate meetings for extra help and to collaborate with each other. The flexibility of the course and the 2-year completion time allows students to improve their work and hone their skills without worrying about rigid deadlines. While it is very challenging for many grade 7, 8, and 9 students to take ownership of their learning, this course aims to promote and help develop the skills needed for a personalized learning program in a safe and supportive environment.